As fine as Torla looks unladen…she is even better with a load! 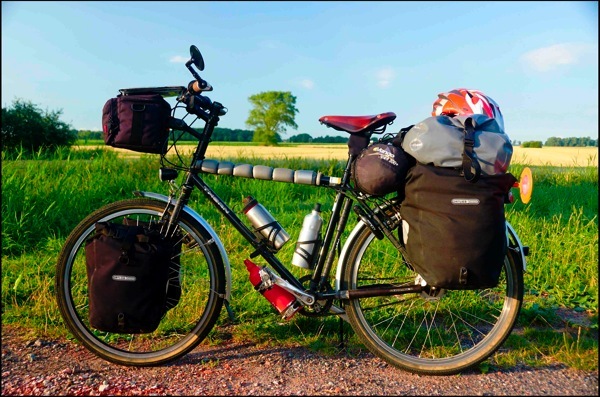 Magnificent example of a nicely loaded touring bike, Richard. I also like the rotating intro photo. Keeps me coming back for another look. Thanks Dan! Fully loaded she handles even better than without luggage!